According to the latest reports, AMD could be launching its 2nd Generation Threadripper SKUs on August 13th and it could cost a pretty penny. 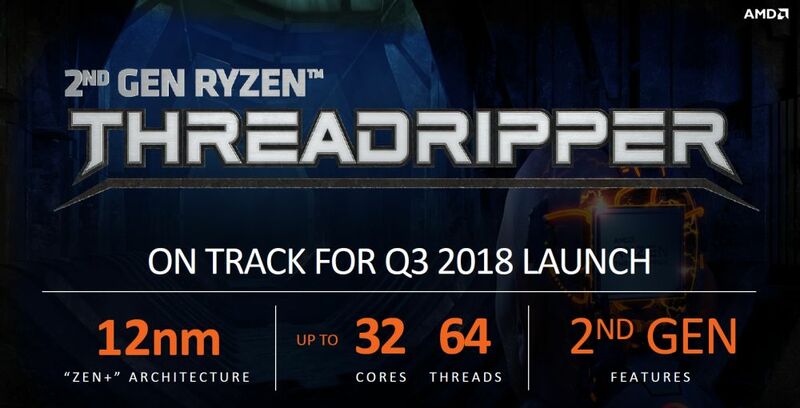 AMD already showed its 12nm 2nd generation Threadripper SKUs based on Zen+ architecture at the Computex 2018 show, including the 32-core/64-thread unit, rumored to be called the Ryzen Threadripper 2990X, and the 24-core/48-thread one, which could end up with the Ryzen Threadripper 2950X name. According to a fresh report from Benchlife.info, these two SKUs could launch on August 13th priced at around US $1,500 for the Threadripper 2990X. This sounds like a hefty amount of money, but it offers more cores than anything Intel has to offer. Benchlife also confirms that both Gigabyte and MSI will introduce newly designed motherboards for the 2nd generation Threadripper SKUs, including the Aorus X399 Xtreme and the MEG X399 Creation. Since the 2nd generation, Threadripper CPUs will have a higher 250W TDP, new motherboards from Gigabyte and MSI will have upgraded cooling and VRMs. AMD 2nd Generation Threadripper CPUs will offer significant performance improvements due to their sheer number of CPU cores and might become favorite choices for workstation tasks.